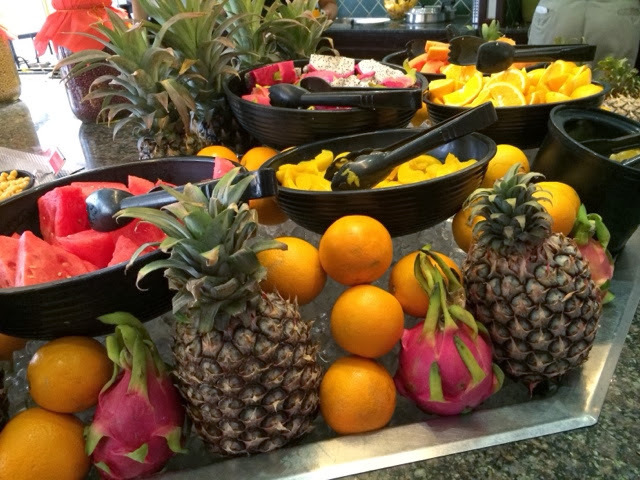 Krazy Salad Bar - A healthy Salad Buffet to go with your mains! The lunch menu had some special sets that ranged from approximately $15 to $20. Top up $1.50 for their free flow coffee and tea from drinks station. Every main in the set came with the salad bar buffet. 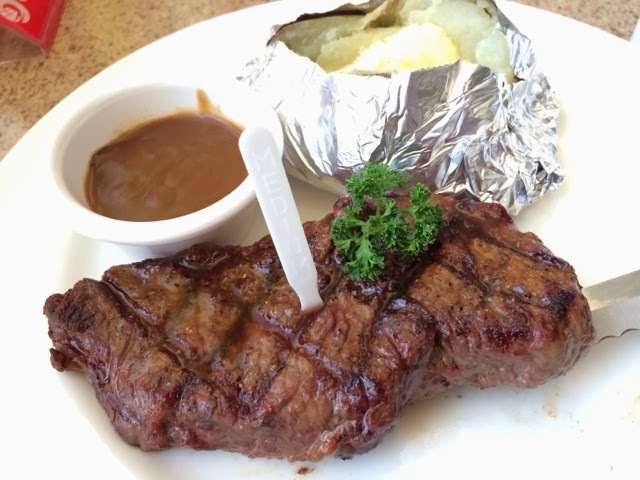 We ordered sirloin steak with mushroom sauce medium and requested for bake potato which was the only choice of steak for lunch special. 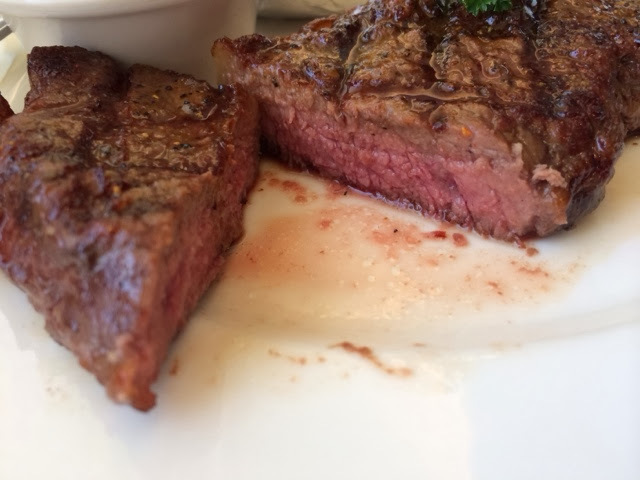 The medium steak was not as juicy or bloody as I wanted it to be. I preferred Astons version of medium. The beef itself had nice flavors but it was a little on the tough side since it was a sirloin cut. The butter used for the bake potato tasted more like margarine. The mushroom sauce was a tad salty. Overall, it was still an adequate quick fix for a beef steak craving at a reasonable price since it came with the salad buffet. 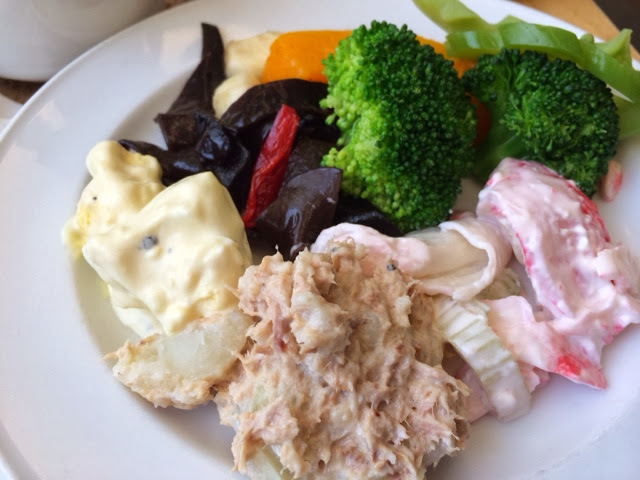 I will always be back for their egg mayo and tuna potato salad. For lunch, it did not serve my favorite clam chowder soup. Instead, it served the usual mushroom, cream of broccoli and hot and spicy soup. Mushroom soup was creamy and tasty. Hot and spicy soup tasted like water with white pepper. They also served yogurt ice-cream which I did not try. It had the feel of a family restaurant. 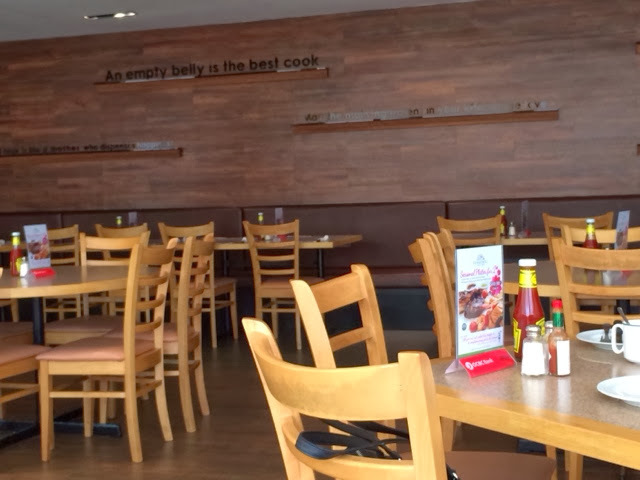 I liked the quotes on the wall. The lunch special sets offered around 8 mains to choose from. I wished that they had offered more choices of beef steaks. They responded promptly but served without a smile. During the lunch crowd, there was a long queue for the coffee maker machine. There was only one. 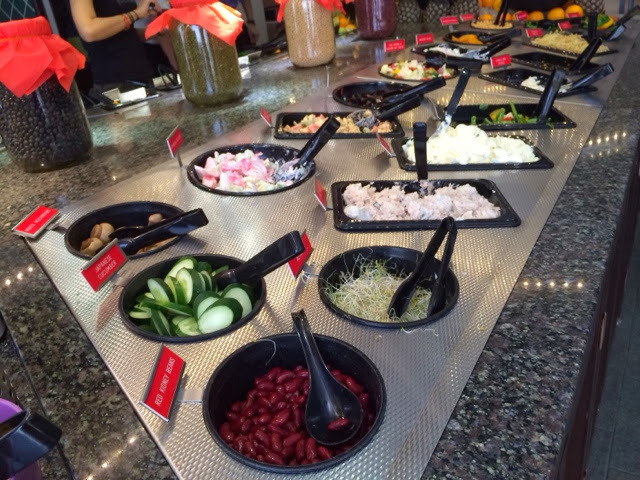 Seasonal Salad Bar took over the former Sizzler. Sizzler served more delicious mains especially their beef tenderloin. 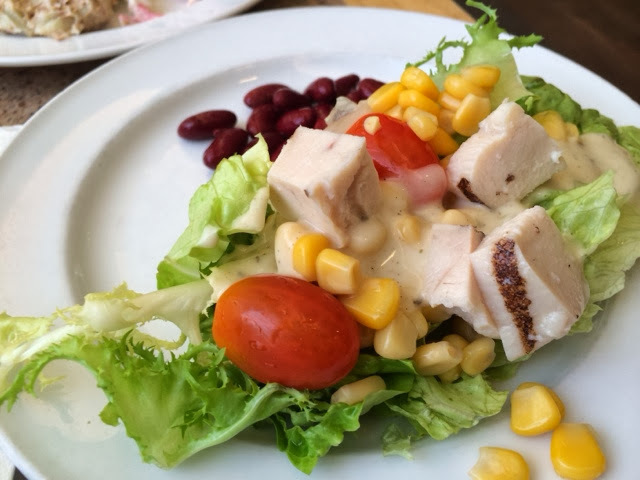 Although Seasonal Salad Bar was average, I would still return because their salad bar items were fresh and it was definitely a healthier meal with that many fresh greens and fruits. Lively yes but chic no. It is still a nice gem in a very old neighborhood.